In FCKEditor I had a custom image browser in a popup opened by the 'browser server' button. This would insert the selected image into the image dialog preview. After upgrading to CKEditor, my image browser opens up fine still but SetUrl won't work, the function is undefined on window.top.opener. Although the documentation tells you how to specify your own image browser URL, I can't find a mention of how to actually handle image selection. I'm having the same issue. I've been looking at it all night and haven't solved it, but I did find a temporary work around that makes it usable. Here's a SelectFile function that works for me. Notice the funky names for the input boxes, 88_textInput. This is where the URL to the image goes. This works, partially. I noticed that when adding the image this way, the preview box didn't get the image inserted correctly, so I added the commented line, but then I found that there are two images in the preview pane if you click ok, then right click and edit the image properties. In the older 2.6 code, there was a file called fckeditor\editor\dialog\fck_image\fck_image.js that included the SetUrl() function, so I tried copying that into the opening window, but it didn't work because the input boxes are all named differently now. I have a lot of reading to do to learn more about the architecture so that I'll /really/ know why it broke. Anyway, hope this helps. but it doesn't explain how to integrate your custom browse image page! peej, thanks for your suggestion but I'm sure there is some function in ckeditor that ckfinder uses to make the image selection when you double click, surely CKFinder doesnt' have to manually insert an image etc. 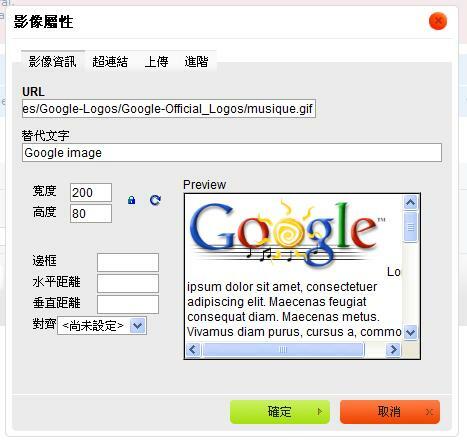 - the workings of CKEditor's image dialog aren't CKFinder's concern, It'd be bad design for them to be coupled like that. CKFinder's source is obfuscated so I wasn't able to see what function it does call when you doubleclick, or at least I couldn't make much sense of it. This must be a pretty easy question for one of the developers, please help! peej wrote: I'm having the same issue. I've been looking at it all night and haven't solved it, but I did find a temporary work around that makes it usable. Here's a SelectFile function that works for me. Notice the funky names for the input boxes, 88_textInput. This is where the URL to the image goes. My text input had a different id to yours, "41_textInput", not sure where that's coming from. I'm not too happy having that id hard coded into the script for my image browser. Thanks for the idea about the .src. The elements in the dialog are created dynamically and are supposed to be referenced using some built in function. I noticed when I removed some of the plugins (save, print), then my 88_textInput changed to 86_textInput. I can't seem to find the method that allows me to get a reference to that element by name. window.opener.document.getElementById('txtUrl') doesn't work. I've tried CKEDITOR.dialog.getCurrent(), but that doesn't work. I'm still looking. Any ideas? I use a custom image browser and it took me some time to find out how the communication between the browser and the image dialog of CKE works. After an image is selected in the custom file browser the URL of the image should be inserted into the URL field of the image dialog (so you geht the preview automatically!). notice: url should be the full path to the image, this means that you have (depends on the url your filebrowser returns) to add manually something like http://www.yourdomain.com/... before passing it to the editor - else you won't see the preview in the editor. raayana wrote: I use a custom image browser and it took me some time to find out how the communication between the browser and the image dialog of CKE works. After an image is selected in the custom file browser the URL of the image should be inserted into the URL field of the image dialog (so you geht the preview automatically!). Thank you so much, this works perfectly. Yes, that worked for me too, thank you so much! But wow, that is not intuitive at all. This should be documented somewhere. Is there a way to get a list of functions available to call? We'll have to look at the source I suppose to see the function definitions. I just saw this post and implemented it and it works like dream. the image browser knows both addresses! can i do it somehow? As a comment on the image-thing (I've been digging deep on that myself). I don't think there's a way to get the elements with using IDs and stuff and know for sure that you are getting the right element. You should use the CKEDITOR.tools.callFunction( funcNum, fileUrl [, data] ); function, explained in the documentation that somebody linked to in this thread earlier. Note that the funcNum parameter should not be static, this number should be sent to the image-browser in the first step (see the manual on how to generate the proper number) and then returned to the function. It seems your function setLink(url) may solve my current problem, http://cksource.com/forums/viewtopic.php?f=6&t=21048. As I did a test to link a Google logo via a remote file and it turns out the image in the preview dialog as shown below (it also shown correctly in <textarea>); so I guess if I make a right link to the local image file then I can get the right preview as well. //         filebrowserBrowseUrl:       'ckfinder/ckfinder.html', // how to put your function or the link of it here?? Currently I can get CKE's output via PHP under my forum. So if I can make preview successfully; guess I can replace the string of <img src="..." /> tag to point to the remote file of my forum after user press 'submit' button and my forum program does have its own file uploader.